Ready for the weekend? Oh yeah! 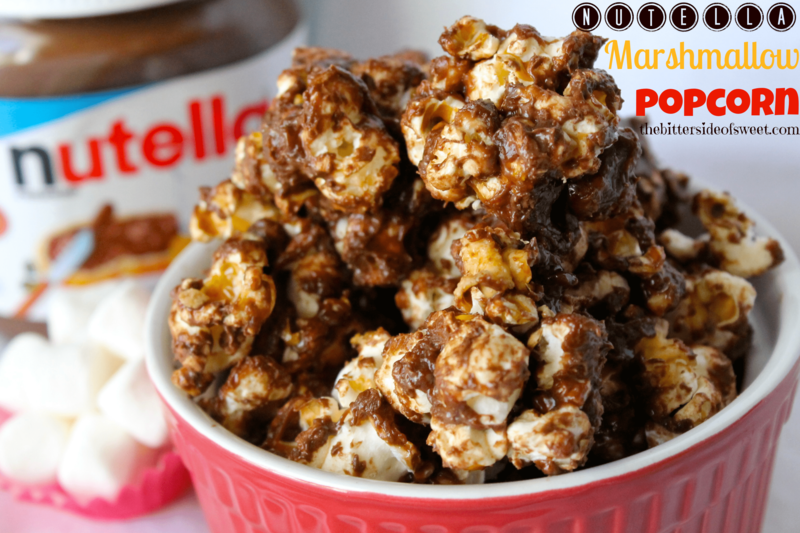 I am ready to start it off with this Nutella Marshmallow Popcorn, for sure! I love how popcorn is so versatile. 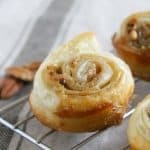 It seems you can basically do anything with it like even adding Nutella to it! 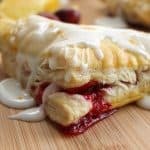 The Nutella combined with the marshmallow makes it sticky and gooey but the taste makes it out of this world. 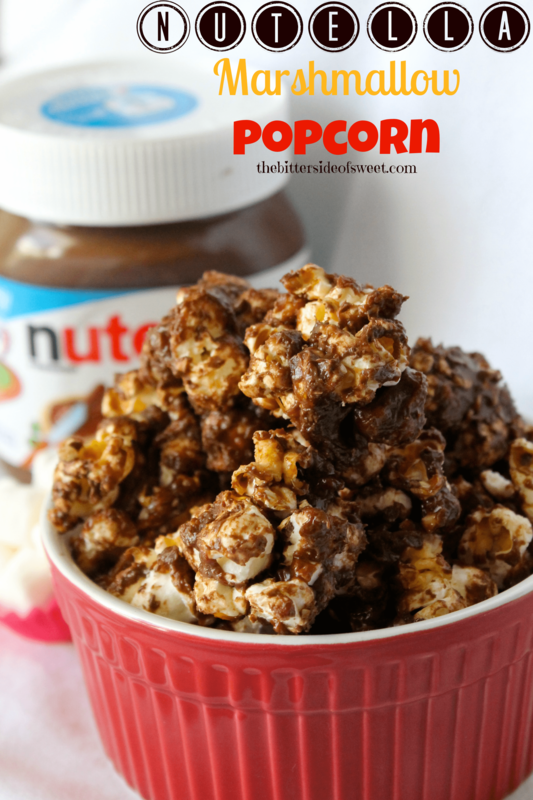 Just to make it extra special I melted two more tablespoons of Nutella to pour over the popcorn to really get those flavors accentuated. To make this it is pretty simple. Very simple. 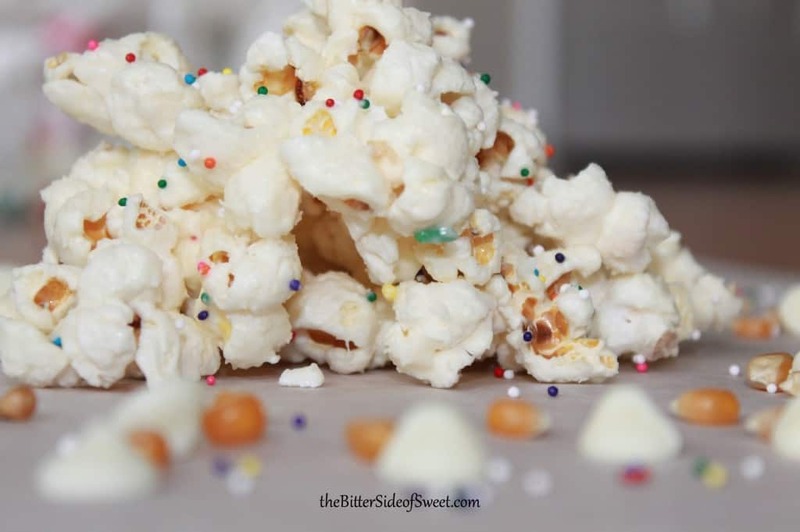 I followed the same recipe that I used for my Rainbow Nerds Rope Candy Popcorn. This is quick and easy as well. 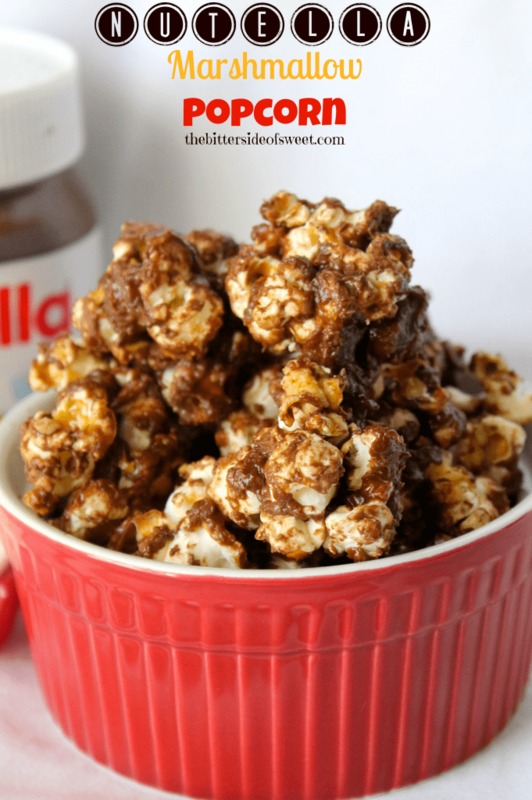 I took a little extra time just to make sure all of the oil had drained off the popcorn and that the melted Nutella had hardened just a bit before I plunged into this. Melt Nutella in microwave for 30 seconds and set aside. Add butter and marshmallows to large microwavable bowl. Microwave for 1 minutes. Stir. Stir in 1/3 cup Nutella. Stir in popcorn. Mix well. Add 2 tablespoons Nutella and mix till completely incorporated. Want to a few more favorites of popcorn to chose from? Here ya go! I love having fun with popcorn in the kitchen! This looks amazing. Nutella + marshmallow = what a combination!! sally @ sallys baking addiction recently posted…Soft-Baked Funfetti Sugar Cookies. 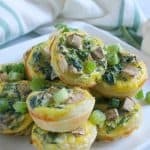 My kids would be thrilled if I made this for them. It looks fantastic. Yep mine were definitely! Thanks for stopping by Pam! The only thing that would have me more excited for the weekend would be a huge bowl if this popcorn in front of me!!! Awe you are so sweet Ashley! Oh popcorn. Oh nutella. Nancy this looks amazing! Thanks Aimee! I just finished our batch. My 4 year old said, did you finish this? Oops I guess she wanted more! Oh lordy! This looks wonderful. I’d enjoy this with a sappy girly movie. 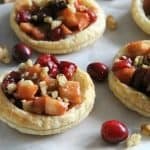 Pinned 🙂 Thanks for sharing on Two Cup Tuesday at Pint Sized Baker! Thanks so much! 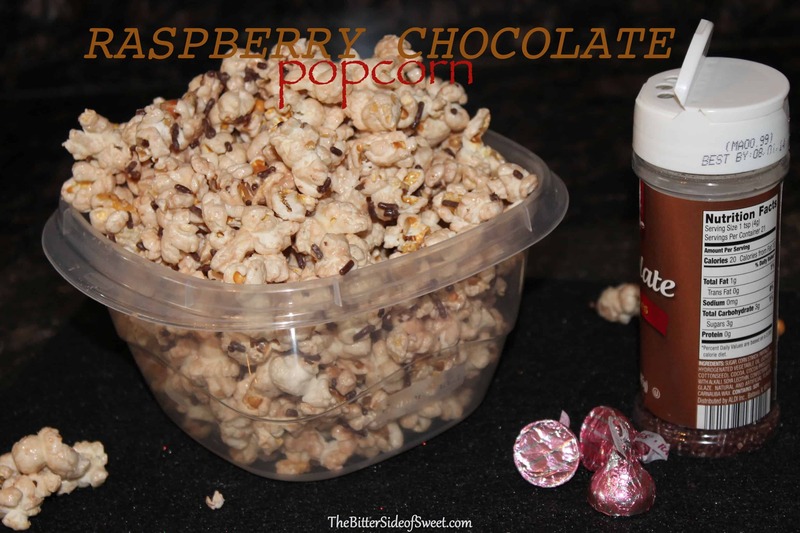 Definitely a great snack for movies! This sounds wonderful! Love popcorn! Love Nutella! What a great combo! Thanks Kathy! And thanks for stopping by! haha! I am thinking you are right about that! I went back and corrected it! That should be melt 2 tablespoons of nutella! Thanks! Oh YUM! 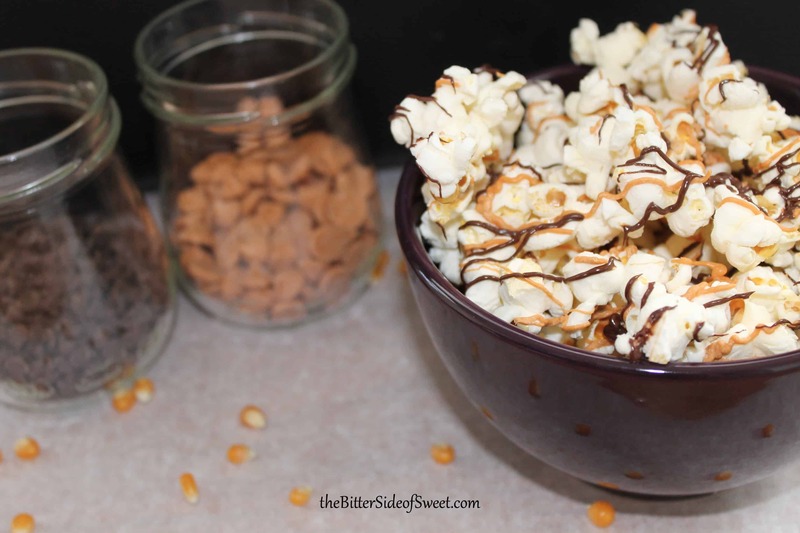 I love a good flavored popcorn – so addictive!!! I’d be in trouble with this around! It looks amazing! Which ways i should choose to melt the nutella? Strirring them with milk or using microwave? Thank for giving a great idea to make popcorn for the weekends. I melt mine in the microwave!